With our meditation we have reached about 70% of the critical mass. Although all goals of the meditation have not been achieved, our accomplishments have been substantial. 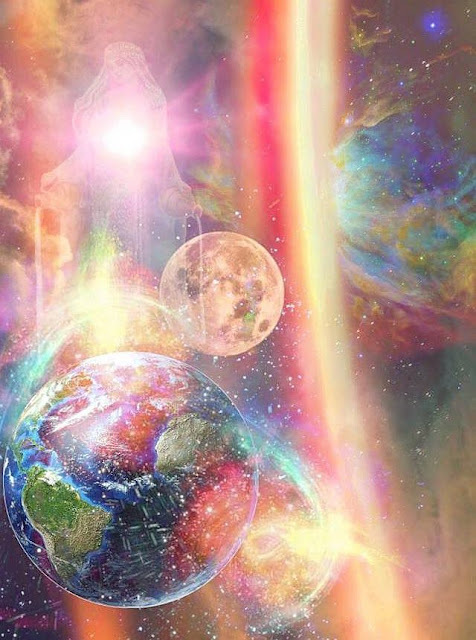 With our meditation, one aspect of the deadlock that holds Earth in quarantine status has been resolved. This has triggered a cascade of clearing sequences that will last for about a month. After that time, the situation will be evaluated and a new report given. 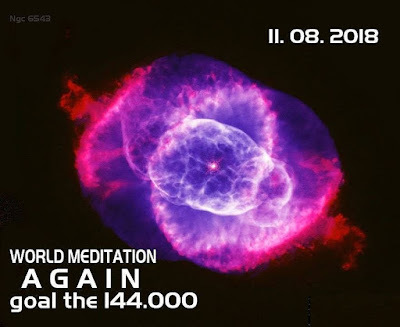 As a result of our meditation, most anomalous plasma and plasma toplet bombs in the Near Earth orbit have been cleared. Anomalous plasma with all remaining toplet bombs now tends to gravitate towards the surface. The head of the Yaldabaoth entity is almost completely disintegrated, with lesser plasmoid entities in rapid disintegration also. A few more layers of toplet bombs will be removed in the coming month. 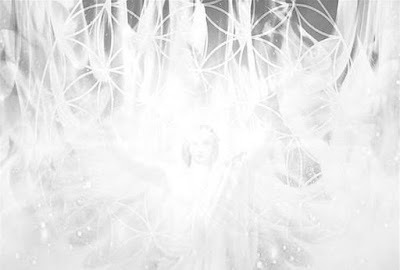 When Mjolnir has touched the surface of the planet on March 8th, the Pleiadian feet has begun with surface clearing operations. Surface clearing operations have proven to be far more difficult than expected because in vast majority of cases, the surface population is not following their spiritual guidance. Since March, the Light Forces have developed much more efficient strategies and protocols to deal with the surface population and these will be implemented as soon as the critical mass of toplet bombs is removed. 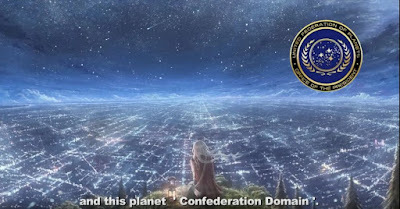 The main occult secret that the dark forces were trying to hide is that they always had a planet where they tried to accumulate the highest amount of suffering possible and that planet served as the central point of the accretion vortex for the primary anomaly of the whole universe. 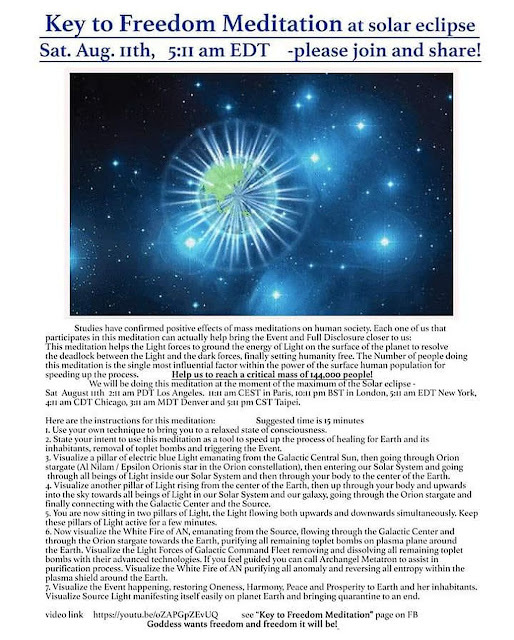 This planet of suffering was in the Rigel star system in the Orion constellation until 1996 Archon invasion, and then the maximum focus of suffering was transferred to Earth and since 1996, Earth is at the central point of the primary anomaly accretion vortex for the universe. Earth-based dark forces tried to redirect the primary dark plasma flux from Orion to our solar system and especially to planet Earth with the Nazi concentration camps pentagram of evil during World War 2, with nuclear explosions after World War 2, with trauma-based mind programming in underground military bases since 1960s, with Draco infiltration into our Solar system through the Solar Warden secret space program front also since 1960s, and were finally successful when they opened a dark wormhole portal between Earth and Rigel in early 1996 after the Rwanda genocide of 1994. Since then, primary dark plasma and dark anomaly flux is flowing towards the surface of the Earth. The energy of Al Nilam stargate and the White Fire of AN is the antidote to this flux. 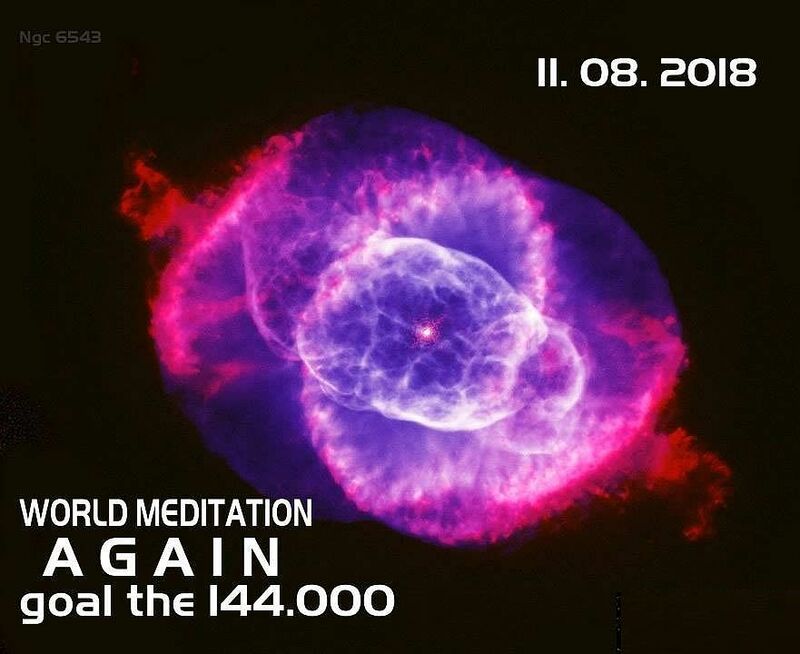 For this reason, our meditation was successful in finally beginning to address the root of all evil and started the process of removing it from the universe forever. 1.Jupiter Command, located in the outer Solar System beyond the asteroid belt with the primary purpose of processing all negative entities that get cleared from the Earth quarantine through the Ganymede sorting facility towards the Galactic Central Sun. 2. Ashtar Command, located in the inner Solar System with the primary purpose of liberating planet Earth. 3. Atlantis Command, about which nothing can be said. 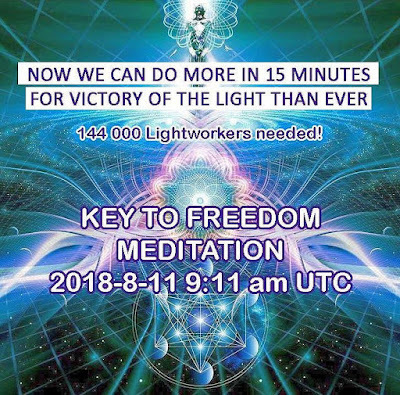 The Light Forces have requested to replace Weekly Ascension Meditation with our new Key to Freedom Meditation, as our new meditation is much more focused on the real issue and will have a much greater effect on the planetary liberation. 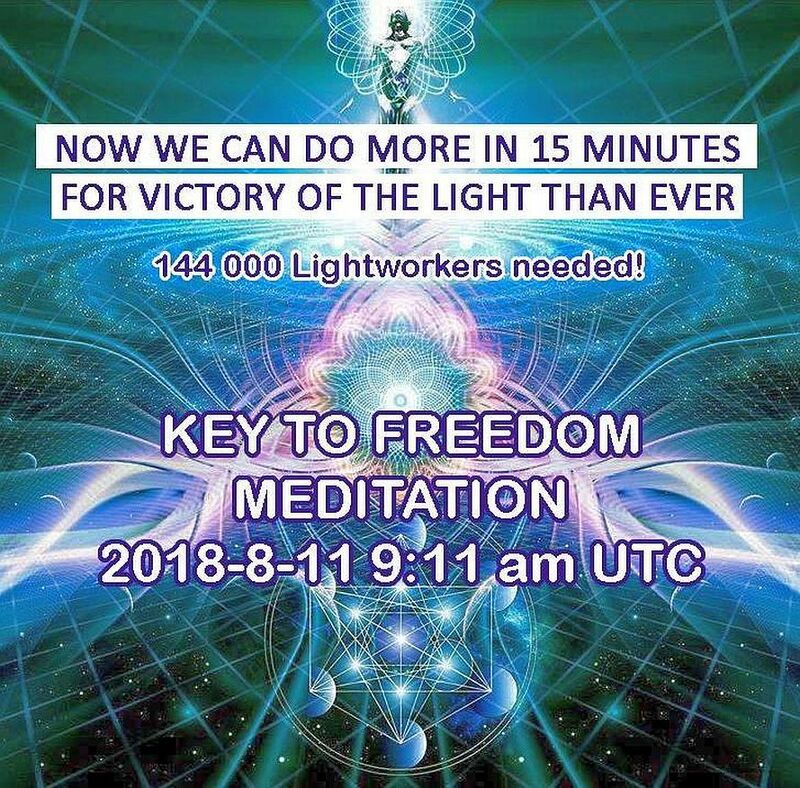 The Light Forces have communicated that there might (or might not) be a second planetary Key to Freedom mass meditation coming in a few months. We are hoping that the critical mass can be reached then.